Free agency is still a month away, but things are already heating up on the South Side as the Steelers signed restricted free agent fullback Roosevelt Nix to a 4 year contract, binding him to the team through 2021. What is it about undrafted rookie free agents from Kent State University and the Pittsburgh Steelers? James Harrison was of course a Kent State product, as was Roosevelt Nix, who while playing defensive line in college, joined the Steelers in January of 2015 signing on to play fullback. Rosie Nix did well enough to make the 2018 Pro Bowl. When training camp ended in 2015, segments of the fan base howled over the decision to carry two fullbacks (the other was Will Johnson), yet Nix proved his worth on special teams, including forcing a fumble at a critical moment in the Steelers win over the Oakland Raiders. 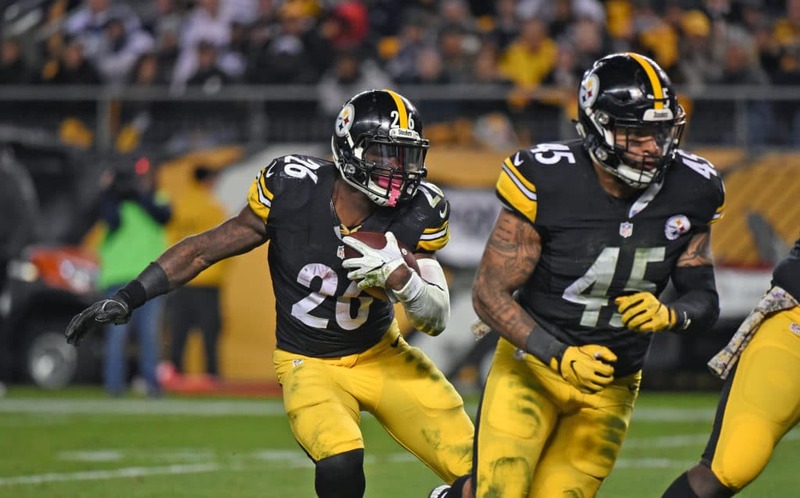 With Roosevelt Nix guiding the way, Le’Veon Bell broke the Pittsburgh Steelers regular season AND post season rushing records, helping Bell do something that neither Jerome Bettis nor Franco Harris was ever able to accomplish. Nix has also helped pave the way for the success of backup running backs DeAngelo Williams and James Conner, while providing an extra pair of blocking hands to protect Ben Roethlisberger when need be. While Roosevelt Nix is a Steelers fullback more in the mold of Dan Kreider than Merril Hoge, Nix has caught 6 of the 8 balls thrown his way, including catching his first NFL touchdown in 2017 during the Steelers Christmas win over the Houston Texans. They say the fullback is a dying position in the NFL, but players like Roosevelt Nix are helping keep it alive. Roosevelt Nix follows Jordan Berry as the second Steelers restricted free agent to sign a new contract before testing the market. Last week the Steelers signed Jordan Berry to a 1 year deal. This entry was posted in Steelers 2018 Free Agent Focus, Steelers 2018 Off Season and tagged Ben Roethlisberger, DeAngelo Williams, Franco Harris, James Conner, James Harrison, Jerome Bettis, Jordan Berry, Le'Veon Bell, Merril Hoge, Pittsburgh Steelers, Roosevelt Nix, Will Johnson. Bookmark the permalink.